American truck takes on American EV in the battle for supremacy. You’ve heard of Rolling Coal? Well some pickup-truck owners have come up with a new way of protesting against whatever it is they don’t like about electric vehicles. 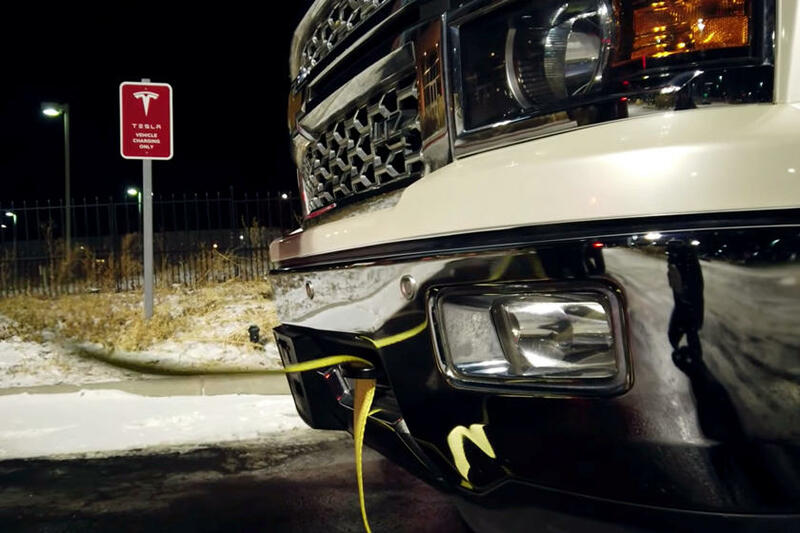 It’s called “ICEing” or “icing,” and it involves parking a car or (more often) truck with an Internal Combustion Engine in front of a charging station in order to prevent electric vehicles from powering up. 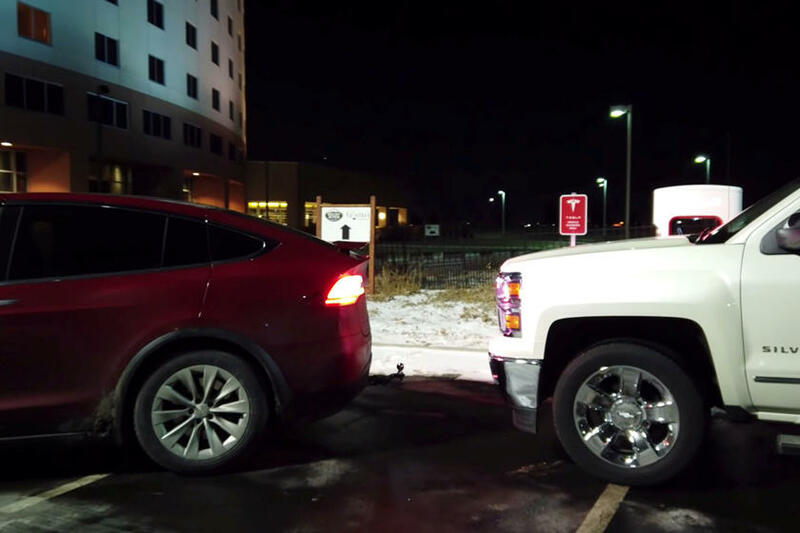 But as this video goes to show, EV drivers don’t have to stand for it. Or at least Tesla Model X drivers don’t. What the Ludistic pickup drivers don’t seem to realize is just how much torque some EVs produce. 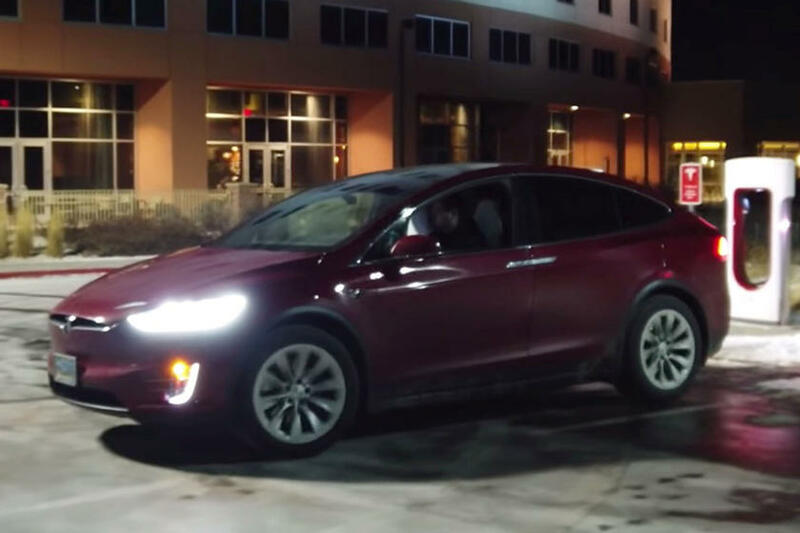 In top P100D spec, for example, the Tesla Model X boasts 486 lb-ft of torque, which is more than even the top gasoline engines in most pickup trucks produce. 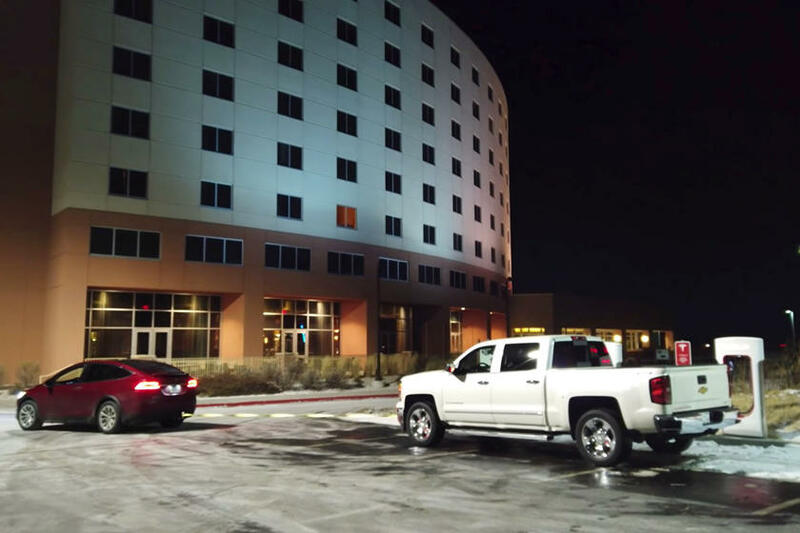 What’s more is that pretty much all that muscle is available from the word “go,” and is apparently enough to tow a parked light-duty, full-size pickup like a Chevy Silverado 1500 without much fuss. 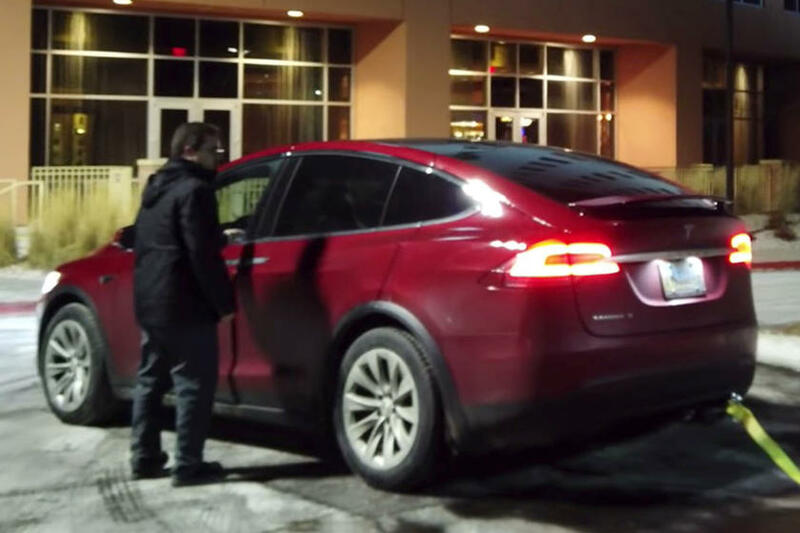 That’s the experiment undertaken in this video shot for Tesla Trip – a YouTube channel devoted to the American EVs. And it evidently went down without… well, without a (metaphorical) hitch, even if it required a physical one. 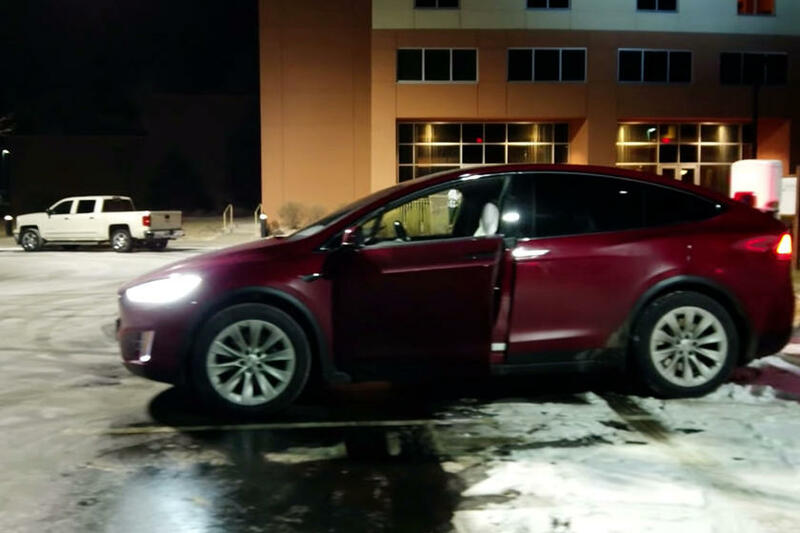 The driver secured one end of a towing strap to the back of his Model X and another to the front of his sister’s Silverado, which was parked (for demonstration purposes) in front of a row of Tesla Superchargers. 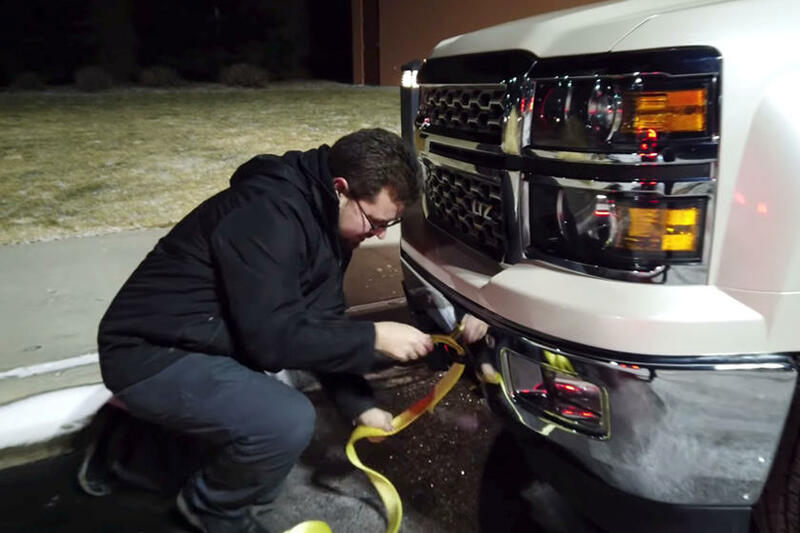 As the video’s producer notes (and as you can see), the experiment was carried out on a cold, snowy parking lot – which may have helped grease the wheels, so to speak, of the Silverado. But then the Tesla had to contend with the same conditions. More telling, though, is the relative ease with which the EV driver managed to pull the pickup out of the way.